Opposition leader Felix Tshisekedi has been sworn in as the president of the Democratic Republic of the Congo, succeeding Joseph Kabila in the vast central African country's first transfer of power through an election in 59 years of independence. VP Chiwenga attended the ceremony. In his speech before a cheering crowd of supporters on Thursday, Tshisekedi said that the country will not be one of "division, hate or tribalism". "We want to build a strong Congo in its cultural diversity. We will promote its development in peace and security. A Congo for each and everyone, where everybody has his or her own place," he said. 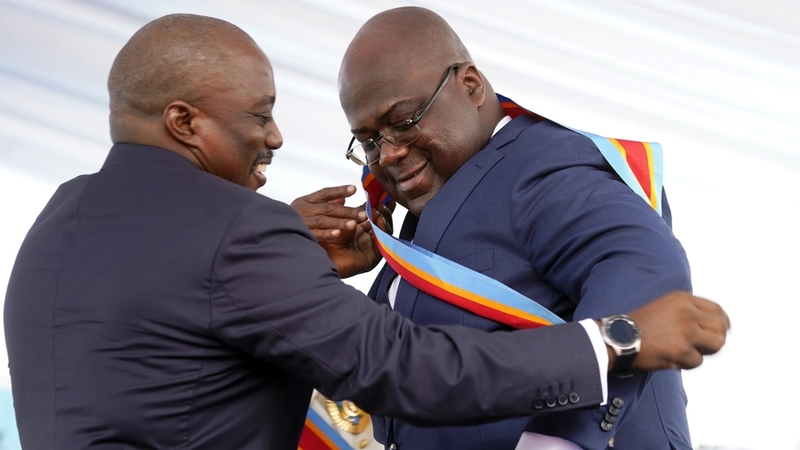 Tshisekedi's speech, however, was momentarily disrupted when he "collapsed on the podium", according to Al Jazeera's Fahmida Miller, who was at the inauguration in the capital Kinshasa. Tshisekedi was able to resume after a few minutes. Tshisekedi's victory in the December 30 election was marred by accusations he struck a backroom deal with the outgoing president to deny victory to the strong opposition candidate, Martin Fayulu. Kabila and Tshisekedi's camps reject those allegations. 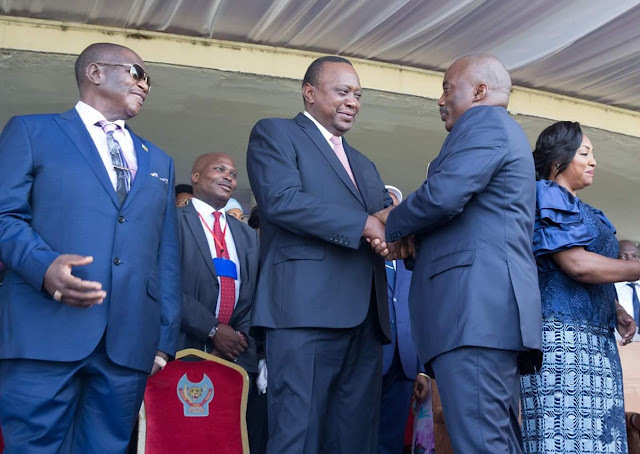 As Kabila looked on, Tshiskedi, in his speech, praised Fayulu, an outspoken critic of Kabila, describing him as a "soldier of the people," and thanked the third-placed candidate Emmanuel Ramazani Shadary, who was Kabila's preferred candidate. Thousands of Tshisekedi supporters, many of them dressed in white, gathered outside the Palace of the Nation, the seat of the presidency in Kinshasa, to celebrate the grand event. One of Tshisekedi's first tasks will be to appoint a prime minister in a move which will see him sharing power with Kabila's supporters, who hold an overwhelming majority in the parliament. Al Jazeera's Miller said that Tshisekedi now faces the challenge of uniting the country after a divisive election.